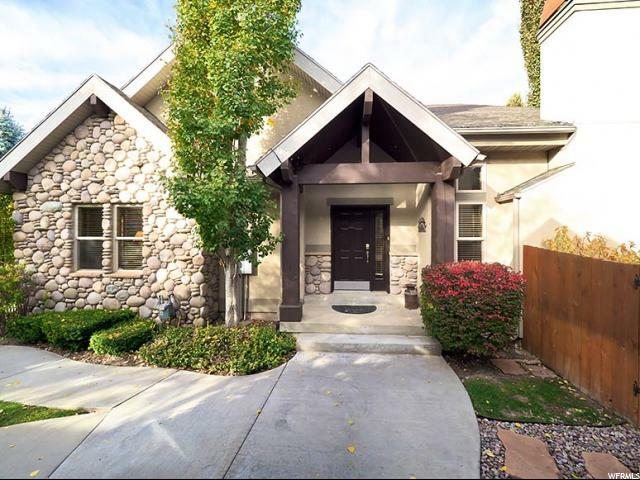 All CANYON PINES homes currently listed for sale in Cottonwood Heights as of 04/22/2019 are shown below. You can change the search criteria at any time by pressing the 'Change Search' button below. "LUXURIOUS DEER VALLEY DECOR VERY CLOSE TO BIG AND LITTLE COTTONWOOD CANYONS*RIVER ROCK FIREPLACE, LODGE POLE PINE BANISTERS AND HANDRAILS AND VAULTED SPACES*RARELY USED VACATION HOME IN IMMACULATE CONDITION*BEAUTIFUL HARDWOOD FLOORS, KNOTTY ALDER CABINETS, GRANITE TILE COUNTERS & STAINLESS APPLIANCES*LUXURIOUS MASTER SITE W/SOAKING TUB, SHOWER AND LARGE WALK-IN CLOSET*BEAUTIFULLY FINISHED BASEMENT WITH THEATER ROOM*VERY PRIVATE BACKYARD DECK AND PATIO*GREAT WINTER SKI HOME OR SUMMER RETREAT*OWNER WILLING TO SELL BEAUTIFUL FURNISHINGS SEPARATELY*THIS IS A CONDO BUT MORE LIKE A SINGLE FAMILY HOME*"